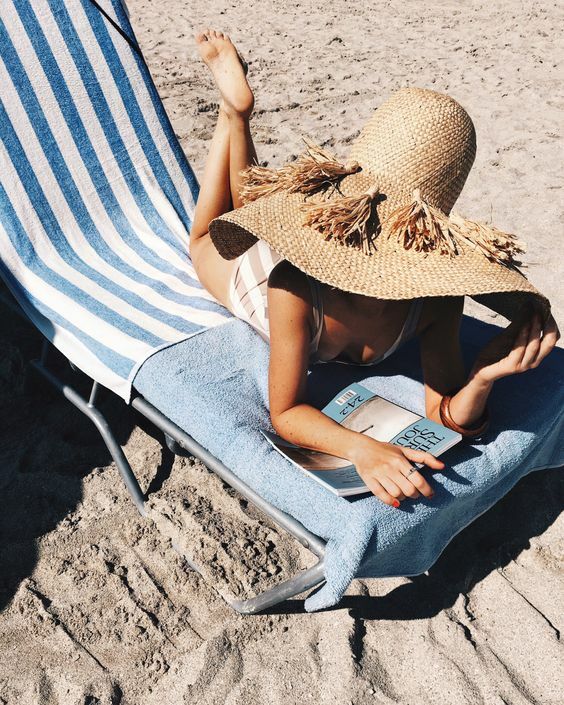 It’s time to up your tableware game this Summer. 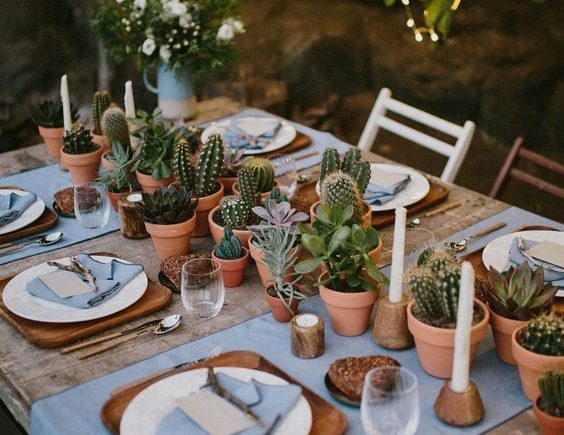 Fun prints, textures, and designs are taking over and creating the most dreamy tablescapes. Don’t think you can only use your “pretty” dinnerware for a party or gathering, think again! 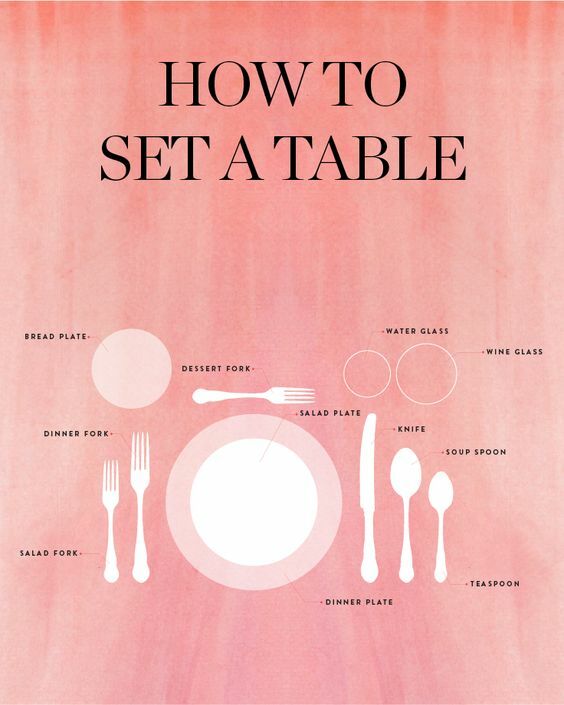 Creating a chic and sophisticated table set for a party or even as a part of your everyday life is all part of creating a stylish and refined lifestyle. 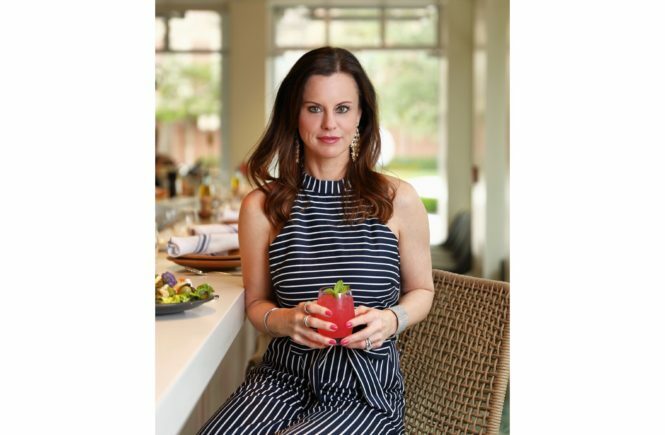 Shop our guide for the perfect additions to your new and improved tablescape for all your end of summer entertaining needs. Anthro is always the perfect stop for a few new fabulous pieces to up your kitchen and table game. 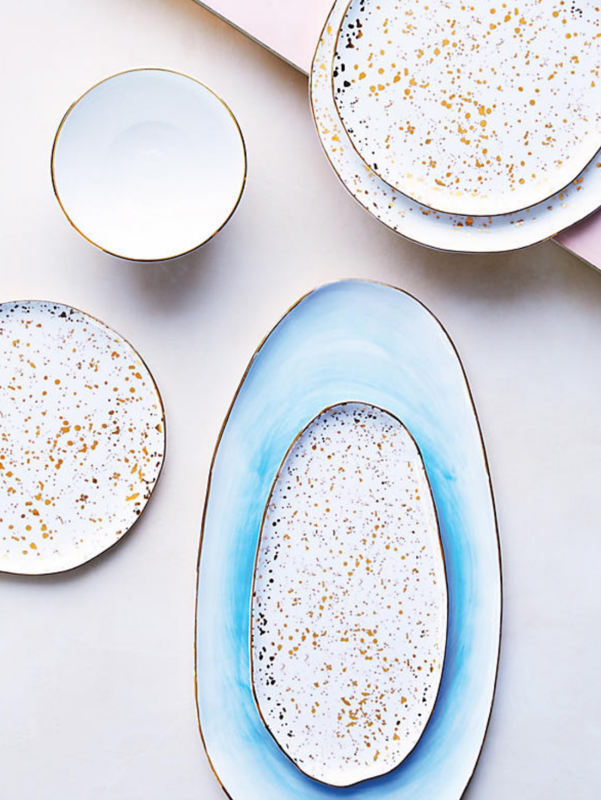 This marble, spotty eclectic dinnerware is modern, chic, and happy! 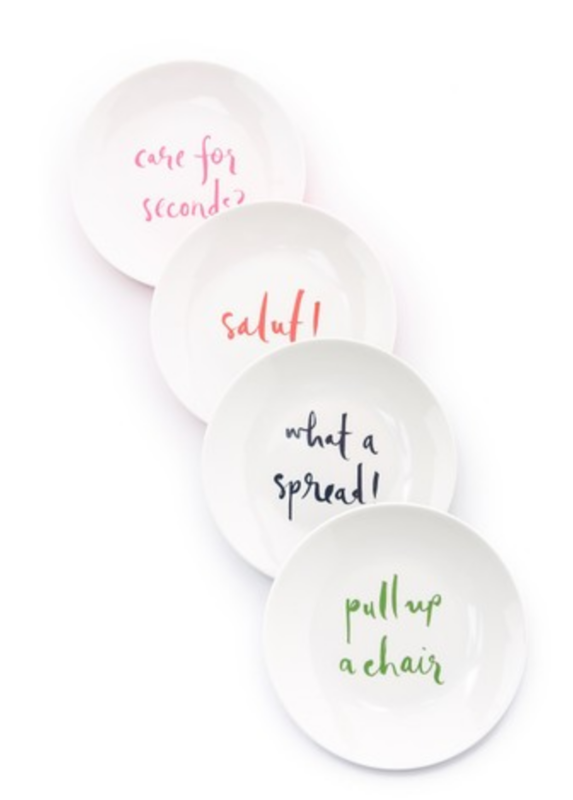 There’s no better way than to serve a fun appetizers than on these cute quote plates. 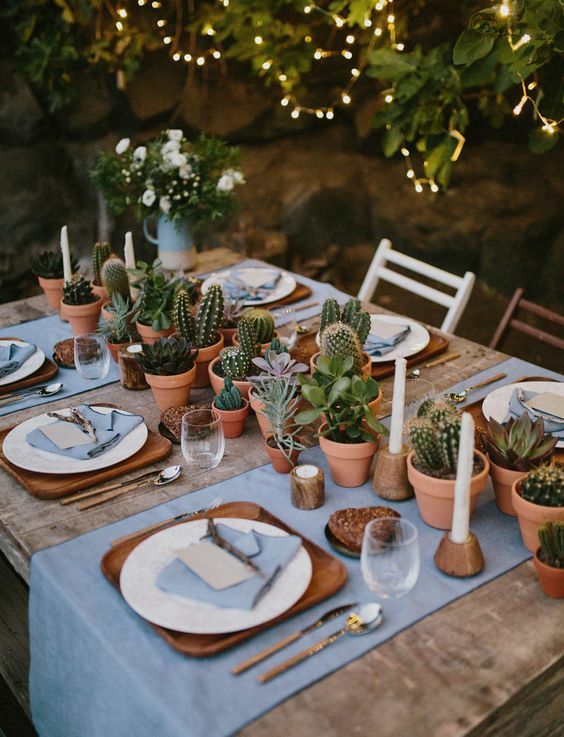 Just “pull up a chair” to the cutest additions to your table! 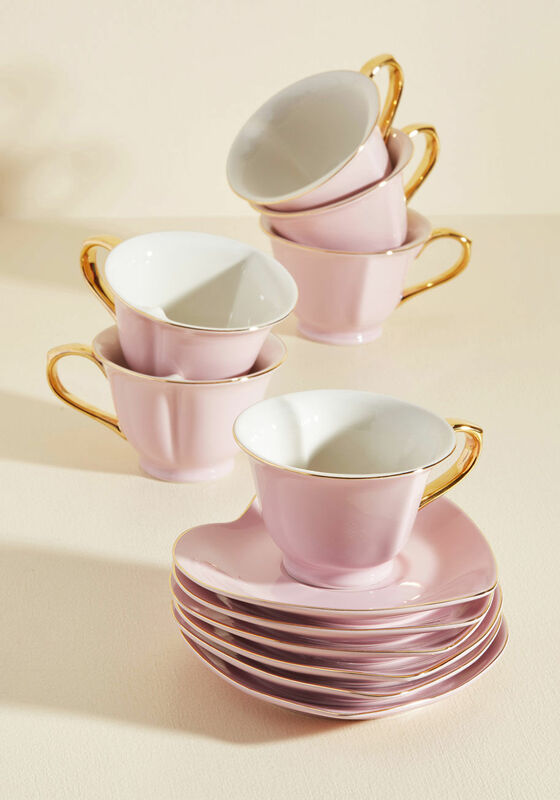 If you ever wanted an adorable tea cup set, this is the one for you! It’s dainty and refined in a modern vintage way. What better excuse to have a tea party! 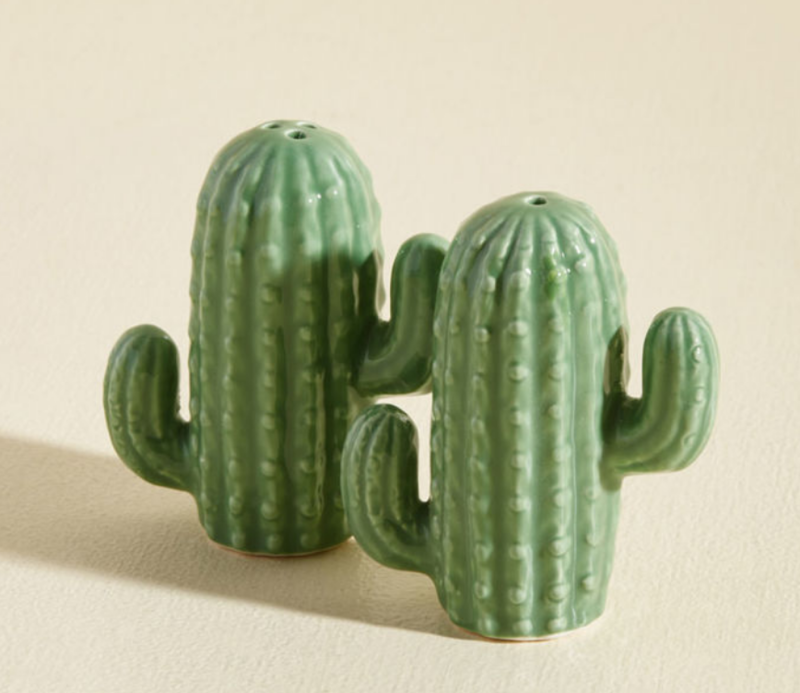 Details like these cute cactus salt and pepper shakers add the perfect touch to a Summer tablescape and are so fun and happy to look at during your next meal. 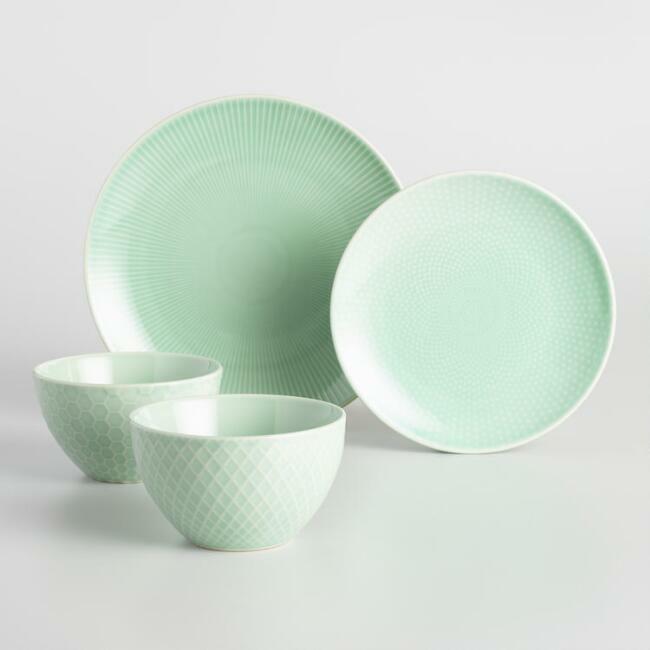 This minty green dinnerware set just make our hearts smile! Especially eating on it. 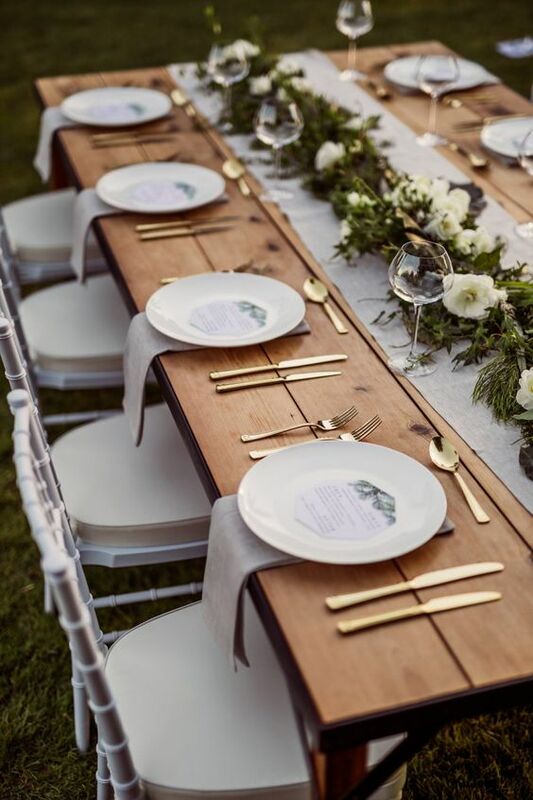 A clean and crisp table set makes the food look even more appetizing and sumptuous. 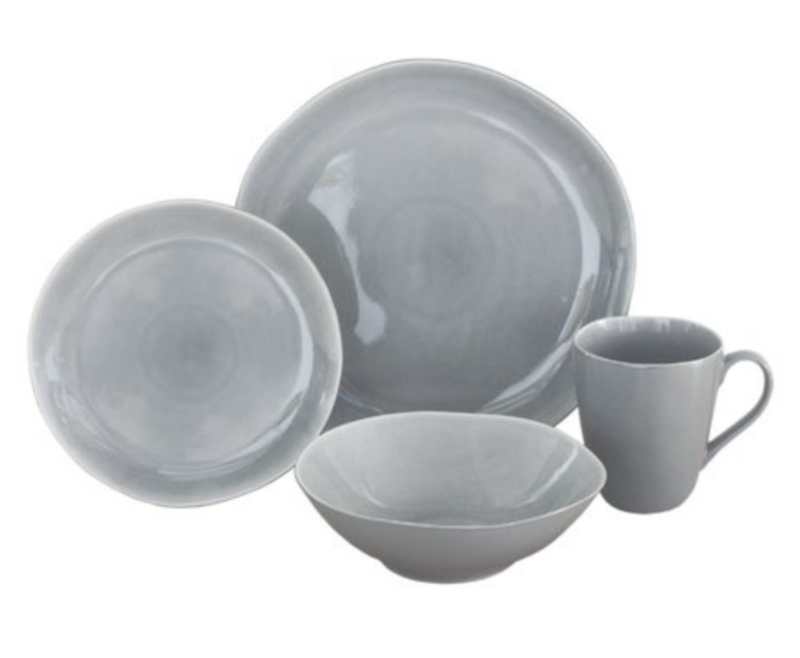 This stone dinnerware is sleek and sophisticated chic with an urban feel. It’s super easy to elevate a simple and classic set of dinner plates and bowls with what you set the rest of your table with. Dishes don’t need be expensive. Get creative and make something that will delight all of your senses. 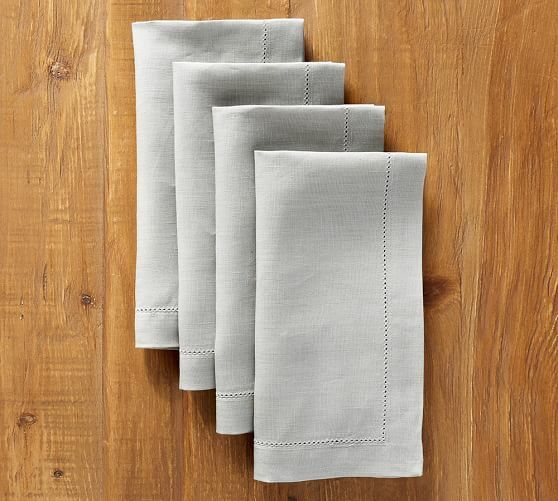 Linen napkins are the perfect addition to your tablescape. They’re lightweight, classic, and go with just about everything. Add a monogram for a beautifully refined finishing touch. 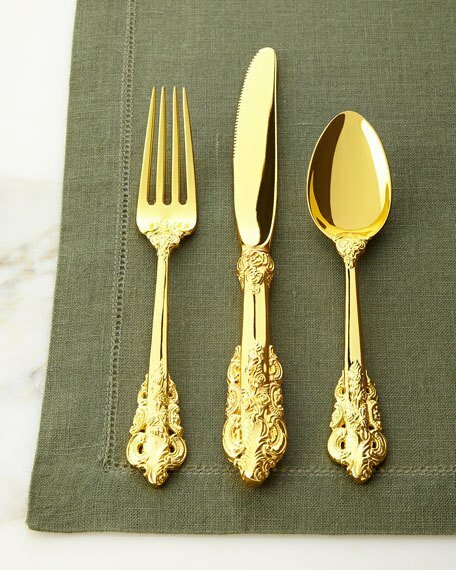 Gold flatware is a gorgeous addition to your tablescape collection! It’s a classic addition and certainly dresses up your gathering, taking it to a whole new level. Need a little refresher course on how to set the perfect tablet, here’s a little reminder to help get you back on track.